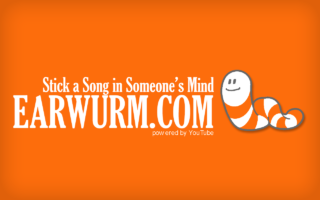 Earwurm.com is a website that revolves around sharing earworms, nasty sticky tunes we all have in our mind from time to time. Did you know earworms, also known as humbugs, Ohrwurms, aneurhythms, musical hooks, involuntary musical imagery and musical viruses, can be triggered by just a tiny fragment of a tune? Well, that’s what Earwurm.com is all about! On the website you’ll find the biggest collection of so called earwurms: short fragments of tunes that trigger earworms, which you can share with your friends and family to put crazy songs in their minds. But be aware, you might leave this website humming too! In 2016, Earworm.com was discontinued. You can still read the THE DEFINITIVE GUIDE TO EARWORMS.